Home / News & Knowledge / Admiralty and Casualty / Tugs and Towing Contracts / I need a tow – but on what terms? I need a tow – but on what terms? Ships at sea have engine failures, and a tow to a port of refuge to effect repairs is needed. Such failures can occur in waters where towage facilities are readily available, or in much more remote waters where, perhaps, only a professional salvor is prepared to venture. There is usually no immediate physical risk to ship or cargo. Such cases are usually described as “rescue towage”. In the past, professional salvors would offer their services on the basis of Lloyd’s Open Form of Salvage Agreement (LOF). However this led to tensions between the application of the law of salvage and commercial reality. Times have changed and nowadays they are almost invariably performed on a contract or commercial basis. We look at why this has happened, how the availability of towage on commercial terms impacts on the assessment of rescue tow awards in cases where LOF might be signed and finally some factors that a tug operator should have in mind when undertaking a rescue tow on commercial and not salvage terms. The starting point in assessing an award of salvage, is that a court or arbitrator is required to apply the criteria set out in Article 13 of the 1989 London Salvage Convention. This convention has been adopted by most of the major maritime jurisdictions and therefore, in theory at least, should result in a uniformity of approach internationally. It is applied, as a matter of English law, to LOF cases heard in arbitration in London. The consideration of alternative assistance, that is to say the availability of other units to undertake the same job, is one such criterion: the availability of other tugs on commercial terms impacts on the actual danger to the casualty and will depress an award. As a matter of public policy, a fair balance has to be struck between encouraging professional salvors by generous awards and not discouraging owners and their underwriters from accepting services on salvage terms. This is not a very easy end to achieve. However, shipowners and their underwriters perceived the reward that salvors received for such a towage by way of arbitration under LOF as being way too much. Underwriters sought to discourage the use of LOF for rescue towage. In an effort to temper the impact of such awards, there emerged in Lloyd’s salvage arbitrations the “disparity principle”. The “disparity principle” was applied in cases where there was no physical danger to the disabled vessel, where a shipowner had time to search the market and where there was available alternative assistance on commercial terms. It was said in such cases that a LOF award “should not be wholly out of line with commercial rates”. The validity of the “disparity principle” was tested in 2008 in the case of The Voutakos. This was a case in which a large, laden bulk carrier became disabled in the Western Approaches, and was towed to Rotterdam by a large tug, sub-contracted under LOF by professional salvors. The Lloyd’s Appeal Arbitrator held that the so-called principle was “seriously flawed” and should be discarded, principally because, as formulated, its application suggested that the commercial rate was something that should be built on to arrive at an award. Such a cost plus exercise had always been held to be wrong in law. The case was taken on appeal by the shipowners to the High Court in London. The Admiralty Judge agreed with the Appeal Arbitrator that the principle was misconceived, although he did so for reasons which differed from those of the Appeal Arbitrator. In essence, he held that the so-called principle was unworkable. Firstly the levels of danger affecting immobilized vessels are in each case different. Secondly was the problem of identifying the proper status of the salvors to be adopted for the purposes of the claim as a professional salvor with a large and long term investment in the industry will attract a higher award. Further there were uncertainties as to the terms on which such services might be performed by others. Accordingly, now that the disparity principle has been abandoned, what is the overall relevance of commercial towage rates in a salvage? The Court gave guidance on this issue, but it has to be borne in mind that such relevance is fact sensitive. First, the commercial rate provides a check on the floor for the salvor’s potential remuneration. But this is not a cost-plus consideration. It reflects the principle that an award should not be out of all proportion to that which was done, and thus not out of all proportion to commercial rates. Secondly, it is useful as a check to ensure that an award is sufficiently encouraging given current market rates. It follows that the level of awards is not written in stone: if relevant commercial rates reduce, then so too should awards in appropriate cases. Thirdly, commercial rates operate as a reflection of the principle of proportionality, which will usually occur in the case of a sub-contracted towage where the whole or in large measure the commercial cost is reflected in the salvor’s out of pocket expenses. This will have a moderating influence. Finally, as already stated, commercial rates are relevant to the issue of alternative assistance. The abolition of the “disparity principle” was not greeted by the market place with any enthusiasm. It was in effect replaced by a proportionality principle, outlined above, which, of itself, is also not easy to apply. Is this a question of some “multiple” or “uplift” on the cost or relevant commercial rate? As English law stands that would be a wrong approach, since it conflicts with the condemnation of any cost-plus approach to the assessment of a salvage award. The impact of the Voutakos on the level of awards is hard to assess. In those towage cases, which have come to arbitration, evidence of commercial rates has been adduced. This not without problems because an assessment needs to be made of the quality of such evidence. It has to be relevant and meaningful. It is not helpful to provide a quotation for a tow which makes assumptions. This is particularly the case of towage from a remote location, where commercial tugs are scarce. To say, “if there were a tug available, the cost of towage to a port of refuge would be $x per day”, is not helpful, if, in fact, there is no tug available and one would have to mobilise over a considerable distance and de-mobilise thereafter. In recent years there certainly has been a very significant tailing off of rescue towage cases on the basis of LOF. The Lloyd’s Salvage Arbitration Branch Report 2014 shows a drop in LOF contracts, where an engine breakdown, has occurred of some 8% in that year. This is understandable, because with the required application of the Article 13 criteria to an award of salvage, assuming the salved fund is sufficient, the salvor’s remuneration is always going to be very significantly more than the cost of towage on commercial terms. Meanwhile there are today fewer casualties and many companies competing for what jobs are on offer. It is inevitable that an offer of a commercial tow will in most cases be more financially attractive than LOF. Thus shipowners and underwriters have little incentive to use LOF in rescue towage cases, looking to a commercial contract, usually on Towcon or Towhire terms. This is hardly surprising since those are the terms upon which a professional salvor would sub-contract a tug to perform the towage service anyway. Why pay a professional salvor more than he himself is paying for the unit actually performing the tow, unless some other significant added value in terms of salvage expertise is also needed? There are still cases, however, where owners will look to agree LOF. One of the reasons for this may be because the ship value is low and the cargo value high. Awards are paid in proportion to value and there is no money paid upfront. Thus the burden of the salvage award is thrust on the cargo owners and any eventual liability as between ship and cargo has to be sorted elsewhere, either under a charterparty or bill of lading contract. In other cases more complex or risky salvage services are needed, but those cases cannot really be categorised as rescue tows which are being discussed here. The professional salvors have reacted to this demand from the market and are much more inclined to offer a commercial rate for rescue towages – even in remote locations. Non-professional towage companies also have the opportunity to participate in this market and receive a good rate for their work. However, there are certain cautions that need to be highlighted. Before entering into any towage contract of a disabled vessel, it is vital that the tugowner obtains accurate information as to the position and condition of the ship. Experience has shown that unless this is done, the tug on arrival finds a much worse situation than initially thought, e.g. an ingress of water into the engine room which requires to be pumped. Unless the tug carries portable pumps this cannot be dealt with, and, in any event, is a service outside the ordinary towage contract. This can lead to arguments about whether the original agreement should now be upgraded to a salvage contract or how the original towage agreement is to be amended. It is also important to ensure that the tug and tow will be allowed to enter a suitable port of refuge. A disabled casualty in poor condition is often less than welcome. As a result, unless entry is approved in advance, the tugowner might well find the contract is becoming extremely onerous in time spent and preventing his performing other contractual commitments. Many ports will not allow a disabled vessel in, unless the tug remains standing by whilst repairs are effected. This can be a lengthy process and potentially a disaster if the shipowner decides to walk away from the casualty. Professional salvors are prepared to take that risk and experienced at negotiating entry even providing a guarantee in appropriate cases if one is not forthcoming from P&I, but for the ordinary commercial operator this might present a potential nightmare that he would rather avoid. 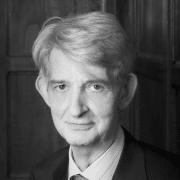 John Reeder QC edits “Brice on Salvage” and has presided over 700 salvage arbitrations. 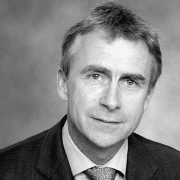 He is an active barrister specialising in collisions, salvage and shipping litigation. Stephen Askins who qualified as a solicitor in 1990, handles wet and dry cases and is particularly known for his expertise in piracy cases and other complex environments. Both are also members of , the specialist arm of the London shipping law firm Tatham Macinnes LLP where Stephen is a partner.